Sit back and soak in the pre-show atmosphere in our first floor bar. Situated opposite Derby Hall, it is the perfect place to grab a drink before any show. Fancy the place to yourself? 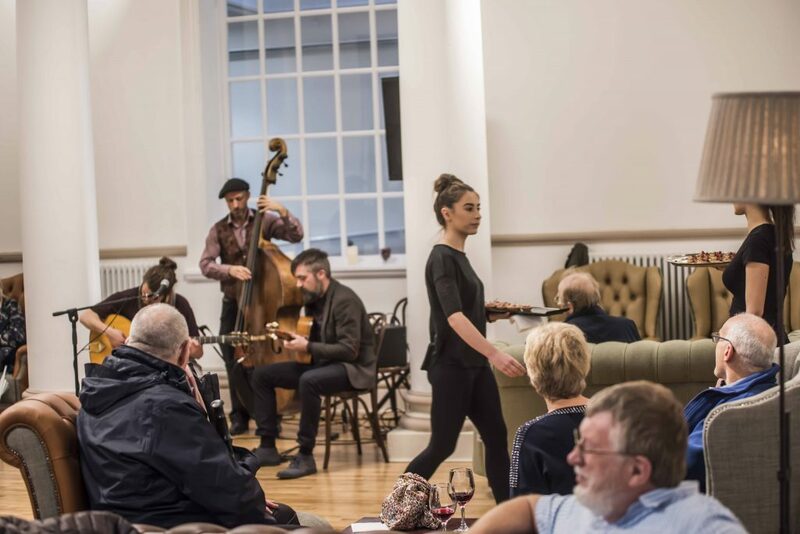 Stanley Bar is also available to hire for a range of events including live performances, conferences and weddings with private waiting staff for that special occasion. For more information, please see our hires page. The exquisite voices of Josienne Clarke and Samantha Whates create powerful harmonies atop instrumental textures created by Adam Beattie and Sonny Johns. Throughout the Big Whistle Festival the Stanley Room bar will be open with sessions before each ticketed show - come early and grab a corner. Singer, songwriter and musician Louise Jordan shares the stories of inspirational women who served in the first world war.